I recently did a tea trade with fellow tea drinker and received a generous 25g packet of Red Jade black tea sold by Taiwan Tea Crafts. My friend also sent a 25g packet of Taiwan Tea Craft's GABA oolong, but I am trying the Red Jade first. I have never actually ordered any teas from this vendor, but am thankful for the opportunity to give a couple of their teas a try. 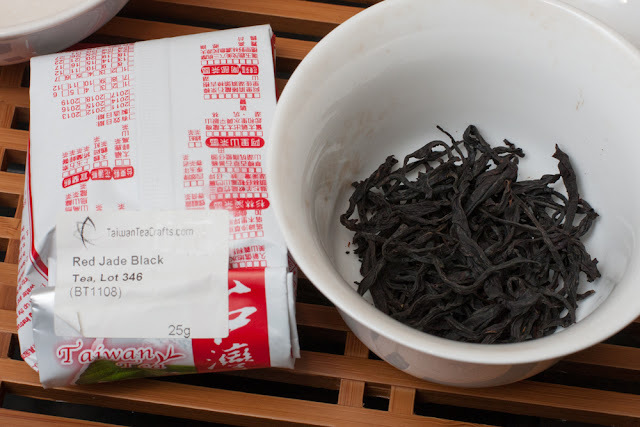 This particular packet of Red Jade that I have is lot #346 and is the 2014 version of the current 2015 Sun Moon Lake Red Jade, which is a TRES #18 style black tea. As I briefly mentioned in my Formosa Assam entry in August, Taiwan's Tea Research Extension Station (TRES) in the Sun Moon Lake/Yuchi area of Nantou County has done extensive research to develop various Camellia sinensis tea hybrids, and TRES #18 is one of the most popular Taiwanese black teas. The 2014 and the 2015 versions of this tea are from the the same farmer/producer, and the foil package contained an oxygen scavenger packet which has likely helped keep this tea extremely fresh. This offering from Taiwan Tea Crafts is a near perfect Taiwanese black tea. The dry leaf is very fragrant with a nice fruity aroma and the leaves are very long and mostly whole. The wet leaf has a yummy fruity sweet candy-like aroma which also comes across in the flavor. Like my other favorite Taiwanese black tea, this one has lots of berry flavors and a nice creaminess to it. The sweet berry flavors are held up by a solid foundation that I simply call "black tea" flavor-- it's the part of the flavor that gives the tea some boldness. The mouthfeel is also very bold, thick, yet soft, and a hint of astringency. Like many good teas, Red Jade provides a strong pleasant aftertaste similar to the main taste, and the leave have wonderful resteepability. 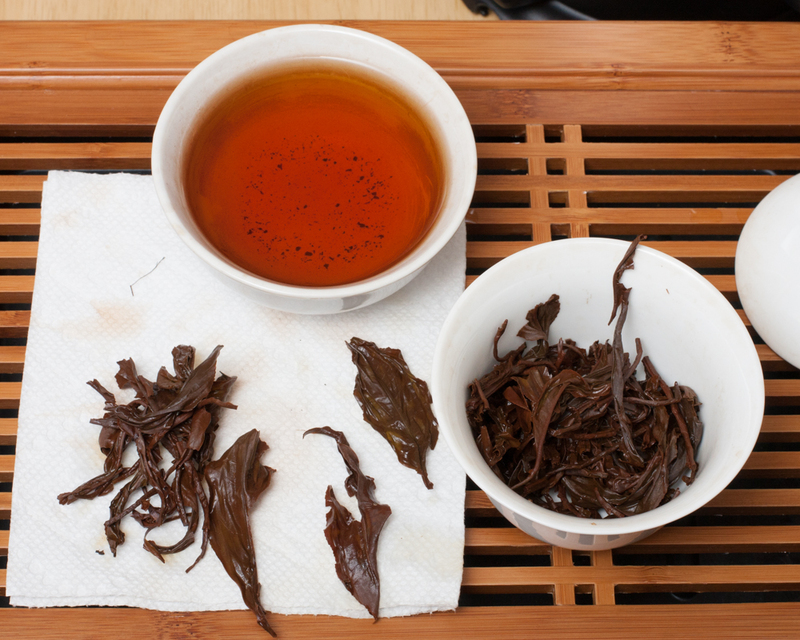 I used 5g in a 120ml gaiwan and almost ran my 1.7L kettle dry while brewing this tea today. I imagine the leaves could have gone even further. Again, I have not tried any other teas from Taiwan Tea Crafts yet, but Red Jade was an excellent introduction for me. (I will try the GABA oolong soon.) If the quality of Red Jade is representative of their other teas, then I look forward to shopping with them quite a bit in the future to try more of their large selection of oolong and black teas!